The potential location of the new hall for the Fire Department of North Huron and Blyth Public Works Department building has come under fire from neighbouring residents. North Huron has yet to officially announce a site. However, some discussion at the municipality’s all-candidates meetings indicated municipally-owned property on the western reaches of North Street in Blyth is being considered for the new home for the fire hall and possible public works hall and yard. During its Nov. 5 meeting, North Huron Council received a letter citing concerns with the North Street site signed by approximately 20 neighbouring residents. The letter cites a proposal to have the structure located on North Street and says residents are concerned about increased traffic flow, street maintenance and traffic noise. The residents state that they chose to live on North Street because it “was a nice, quiet and safe street to start a family and raise our families.” The letter goes on to say there is concern about vehicle safety, specifically about accidents involving children or pets. Those concerns have increased since other municipal sites have been constructed on North Street. The traffic to the compost site results in leaves blowing off loaded trailers on to North Street properties, the letter states, and cites the fact that residents had no say in the compost site being located at the end of the street. Aside from the compost site, the municipal water treatment plant is also located on North Street, which results in increased traffic including trucks hauling sewage and Veolia Water traffic, which operates North Huron’s water systems. The letter states that the water treatment facility, the compost site and the adjacent farms result in “hundreds of private vehicles” utilizing the road already. As a result of possibly having the fire hall and public works building at the site, the letter says the move would cause significant traffic increases, not just from fire calls and daily public works calls, but also through firefighters’ weekly training sessions and fundraising breakfasts held at the hall. Existing traffic problems, including southbound traffic not slowing down on County Road 4, could add to potential problems with vehicles entering or leaving North Street, according to the letter, and parked cars can also cause visibility problems. Other problems listed in the letter include a lack of sidewalks forcing pedestrians on to the road, the narrowness of the road and vehicles already parking on its shoulders, possible expenses for upgrading the road, possible expenses for upgrading services to the site, potential problems with snow removal due to the exposed nature of North Street and the proposal limiting future residential development on North Street. Councillor John Stewart echoed some of the concerns of the ratepayers, saying he was worried about how narrow North Street is and the fact that it’s only half-paved. He also said that his biggest concern would be firefighters being able to get to the fire hall in a timely fashion, and then getting fire equipment out on to a major roadway. “Ideally, you want access to and from a fire hall on to a major road like we have now with County Road 25,” he said. He also said that, while he wasn’t aware of any collisions, he knows there were close calls with families located around the previous fire hall, which was located at the intersection of Dinsley and Mill Streets. Stewart said council should look to all possibilities and have discussions with residents about the issue before coming to a decision. Councillor Trevor Seip said that nothing was written in stone regarding the placement of the new building, but also said council had to act quickly to establish a new location for the fire hall. 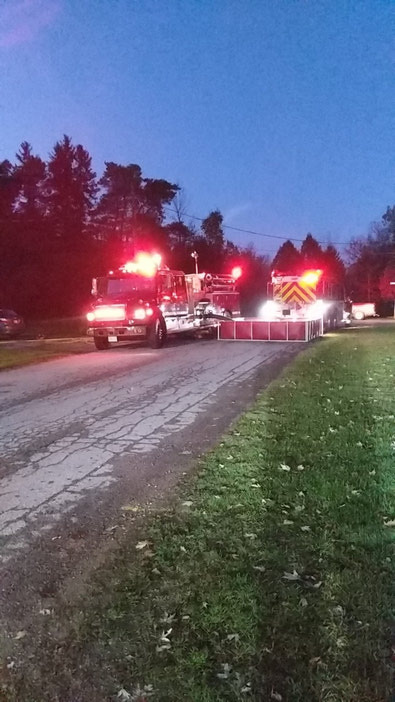 Seip moved for council to receive the letter and have Fire Department of North Huron Chief Marty Bedard and Director of Public Works Sean McGhee discuss the issue and provide alternative locations in a future open council meeting. He also said that an exemption be made to council’s procedural bylaw to allow feedback from residents during that meeting so a location could be found quickly.